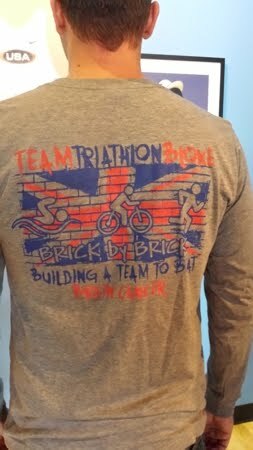 We are grateful for the interest we have received in ordering Team Triathlon Bloke shirts. 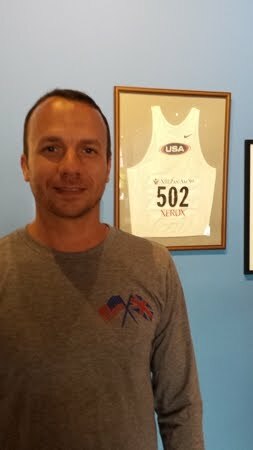 With help from some creative friends, our Team Triathlon Bloke shirts are now available at Modern Athlete in Florham Park, NJ. $25 for a Tri-blend, long-sleeved shirt. Part of the proceeds will help with medical costs but mainly the shirts will help bring awareness to brain cancer and support Doug as he courageously fights this battle. If you are not able to get to Florham Park, phone orders are also being taken and they will ship for an extra $3.30 (US). I am sure we can do international shipping as well, so not to exclude our friends across the pond. Modern Athlete's number is (973) 301-2126.